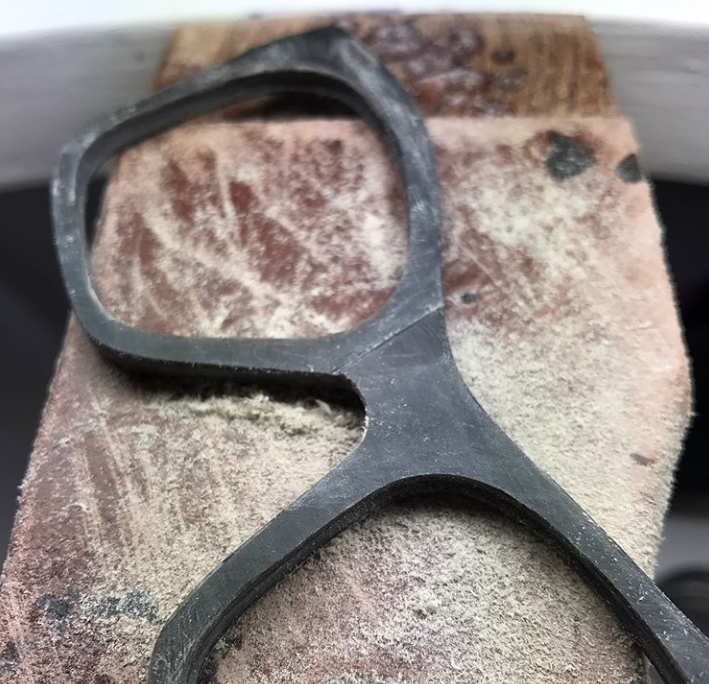 For those of us in the eyewear industry, it's often hard to see past the "way things are done" and find true innovation. 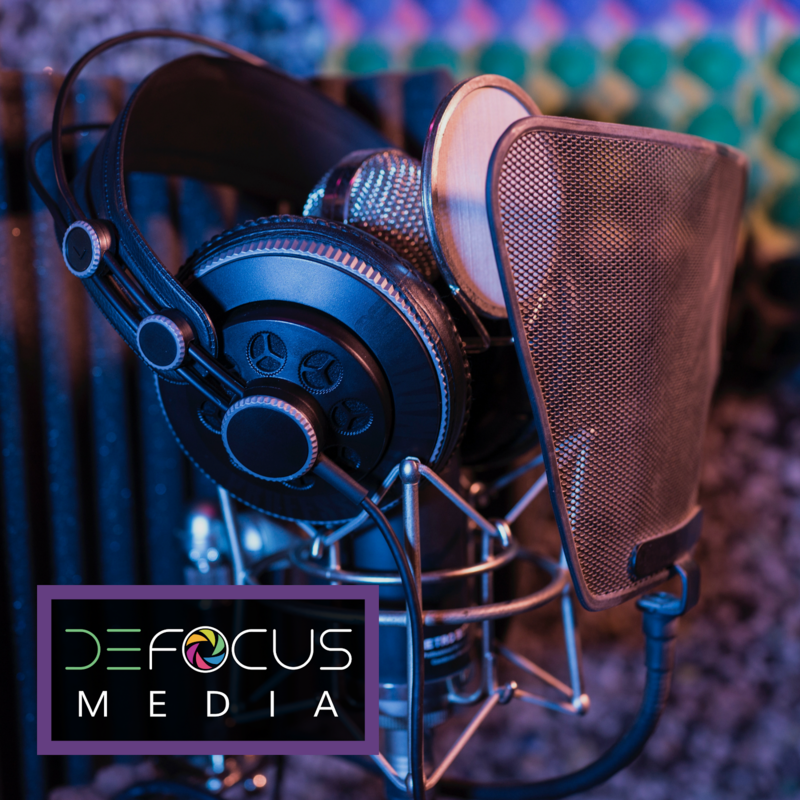 Many of us grew up wearing glasses, grew up shopping for glasses, and in our careers have talked and touched and troubleshooted glasses thousands upon thousands of times. What familiarity and experience can't give us though, is a new way of looking at things. 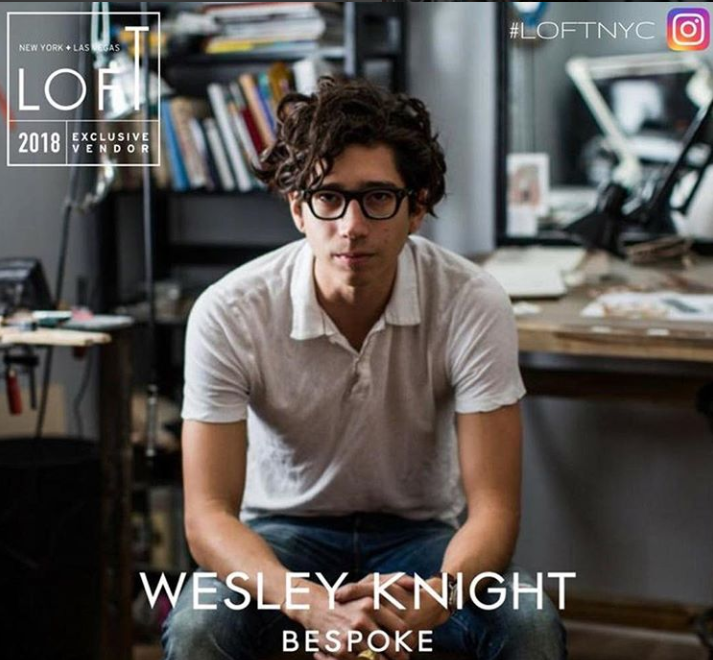 Enter Wesley Knight, the unlikely young artist who's making a name in eyecare by doing everything differently. Knight didn't up wearing glasses or with any family association or experience within the industry. Growing up in a creative household, he found a passion for sewing and garment construction, constantly challenging himself with new materials and ideas. He was experimenting with design using an old cow horn when the idea of horn rimmed glasses first came to mind. Only problem was, he had no idea how to make glasses. There are no books or classes or local tradesmen that you can learn from to find a pattern for making glasses from horn. His design process centered around the material first, and he worked backwards from there to construct his own patterns to make the glasses themselves. What started as a project fueled by curiosity led to a passion that would become his career. 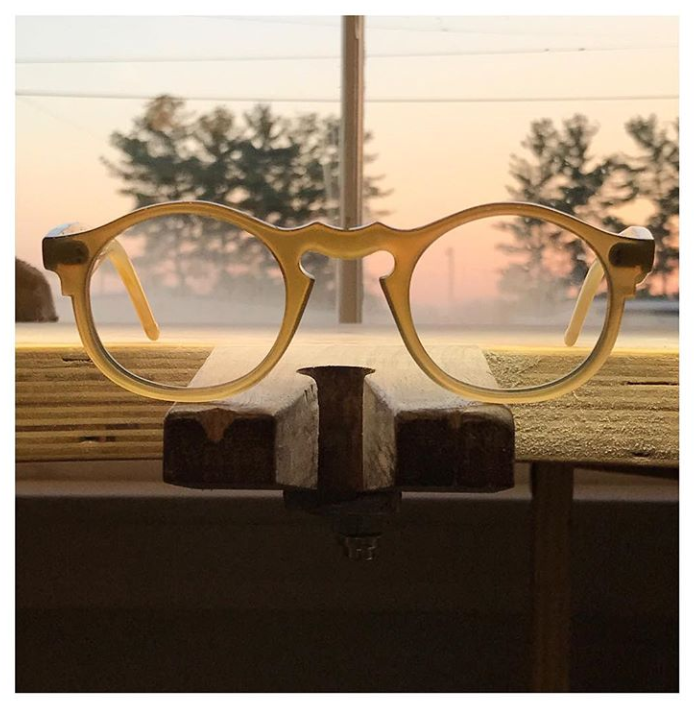 In 2013 he launched his own bespoke eyewear business in Nashville, TN and success came quickly. That year he was a runner-up for Garden & Gun Magazine's prestigious Made in the South Awards, and the success from that feature eventually led to his moving from Nashville to a studio in New York City in 2017. Just this April he was featured in the New York Post, merely a month after attending his first ever Loft Eyewear Show during Vision Expo East. In 2018 the idea of bespoke is trending big, but in eyewear its concept is often over applied. For Knight, bespoke has a meaning that is a true calling: "The word bespoke represents a relationship between man and maker. When I build bespoke I always tell my clients we build it together. Bespoke is an intimate process of creating functional art that you wear 12-14 hours a day. It has to be perfect." Because of this passion for his craft, Knight's process is a lot different from the traditional optical experience. From the humble beginnings of old cow horn, he's now using sustainably sourced water buffalo horn from India, lighter than plastic and with the added benefit of being absorbent of the oils on our skin and face. Instead of an optical where clients come to shop his designs, Knight typically travels to his client's home or office and gets to know their personal style and aesthetic. Each frame is custom designed for his clients, usually over the course of several meetings. The process is interactive between maker and client; Knight will create multiple designs and prototypes until the final design is approved and crafting the horn begins. The result is a pair of glasses uniquely created for the wearer; designed to perfectly fit the width of a bridge and the bend of an ear, as well as to highlight the person's face shape and proportion. At the Loft Eyewear Show, Knight admits eyewear buyers didn't know what to make of his business model or his product. That hasn't stopped some of the biggest names in optical from partnering with him on his product. He's producing a limited collection of ready to wear designs this year for luxury eyewear A-listers Selima Optique, Black Optical, 10/10 Optics, and Rapp Optical. 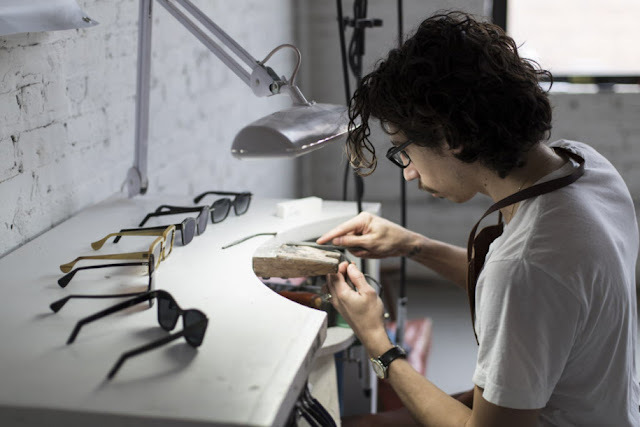 While these ready to wear pieces won't be custom made, he has used his most classic design patterns curated from his many clients since 2013 to create an everyday luxury product for the larger population of eyewear aficionados. Keep checking Knight's Instagram for more details!